Summer is far from over yet, so book your stay in August and make the most of our stunning private lake and nature reserve. We get fully booked all year round but with our 8 secluded holiday cabins dotted carefully around our large spring fed lake, you’ll feel like you’re the only ones here. Get amazing peace and quiet, total seclusion and enjoy the final days of the hot summer sun. 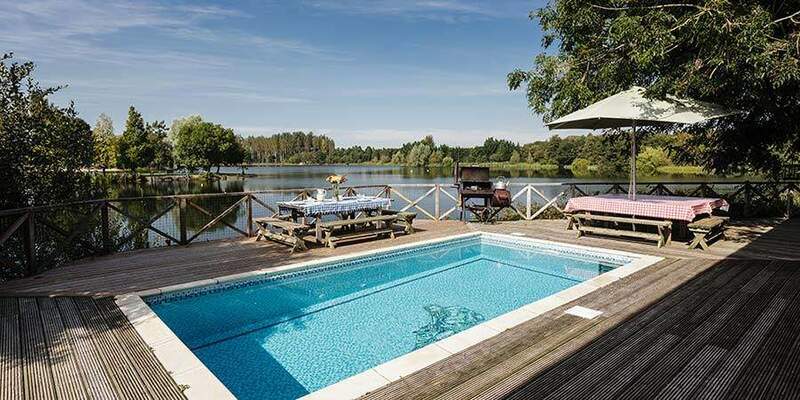 With the mind-blowing Cotswold backdrop and all the luxuries inside your cabin such as the log fire, lakeside hot tub, spacious veranda, your own private pier and rowing boat, you won’t believe that you’re in the UK. Summer offers so much charm here at our lake and August is one of the best times to visit. This place is a little oasis of paradise. Perfect for our escape from busy lives. We cannot wait to come back soon. As temperatures reach their peak, a holiday by our spring fed clear water lake cannot be beaten. Enjoy some sunbathing on your pier between cooling off with some wild swimming. Take the boat out with a picnic hamper and find a nice hidden spot somewhere around the lake and roll out the picnic blanket. Or let us help you arrange bikes for your family summer holiday so you can enjoy an adventure around the lake paths or surrounding Cotswold lanes. You can also explore the quaint chocolate box villages and stop at the famous Cotswold pubs for a spot of lunch. There’s so much to do in and out of our reserve and if you’re booking for a large group holiday, we recommend Mayo Landing, our luxury cabin for up to 11 people – it comes complete with a pool, outdoor sauna, lake view hot tub, fire pit and BBQ. Our private lake is perfect for hot summer days. Cool off and take a dive into the safe, spring fed water from your cabins private beach, go out paddling on a fun and exciting paddleboard, or let us arrange some kayaks so you can enjoy a little workout. 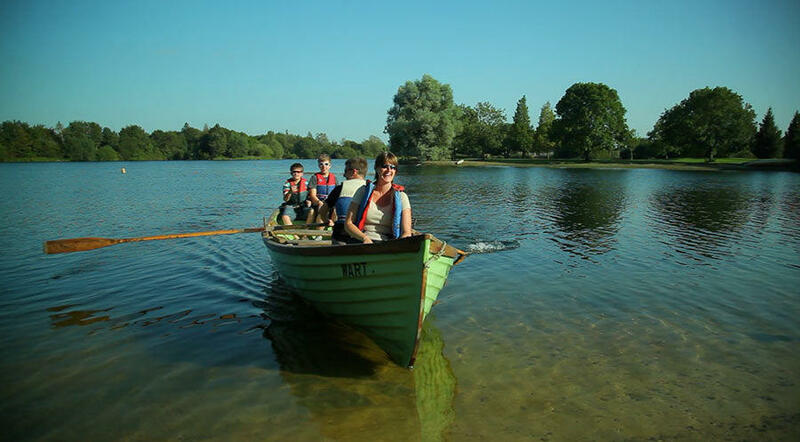 Fishing fans can also take the rowing boat out to try their luck at catching a fish. No matter what you get up to, our lake creates the perfect summer holiday for all ages. If you want to explore out of the water, take a walk around our reserve or take your binoculars to spot otters and birds. There are also 17 varieties of dragonflies and so many butterflies out at this time of year, so kids will be able to truly explore nature. The Cotswolds really comes alive in August; from classic car festivals to country shows, there’s something for everyone. For something totally unique and different, go and enjoy the local water football match at Bourton on the Water – this strange annual tradition takes place in the shallow River Windrush and the crowds that gather always create a great atmosphere for first time visitors. The weather is still pretty hot so please don’t forget to pack sun cream for your daytrips – and you can even bottle up some of our own spring water before you set off! Some of the main attractions get busy in August so our tip is to see attractions earlier in the day or choose places a little more off the beaten track. For romantic strolls around the countryside on a holiday with your dog, take the OS Map in your cabin and follow the quiet footpaths for the best scenery. Keep an eye on our cotswold blog too for ideas on days out this August. But don’t worry if you’d rather stay on our reserve – most of our guests do. After all, it’s not easy to leave that lakeside hot tub and we certainly can’t argue with that.